Food insecurity and poverty are deeply correlated. 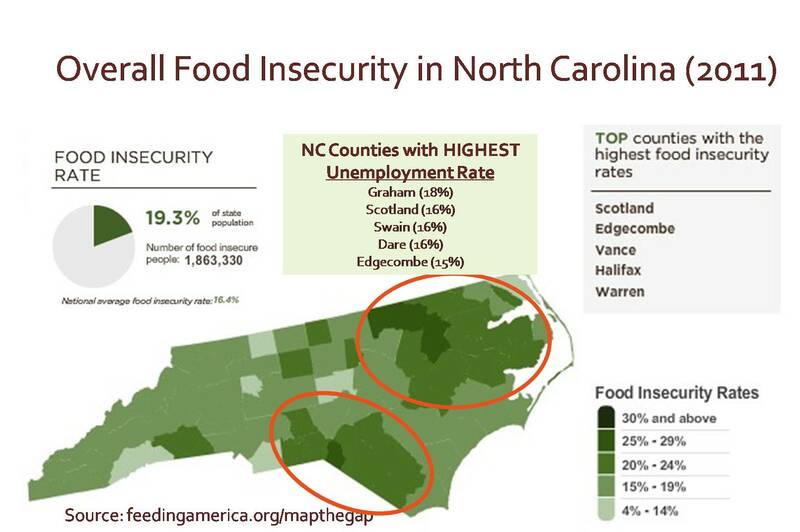 Figure 1 shows the overlap between the areas of North Carolina where most poverty, joblessness exist and how those areas are also the most food insecure. Food justice advocates and activists attempt to address root causes of food systems inequities as a means to transform the conditions. The overlap of poverty and food insecurity is an example of this. Food justice activists advocate for higher wages and more jobs for low-income folks as they see these conditions as a root cause of food insecurity. If people who are food insecure have access to jobs that provide a living wage and healthcare, then they will have an income level that will make fresh, healthy produce more affordable. Figures 2 and 3 demonstrate the overlap between poverty, unemployment, chronic health conditions and food insecurity in North Carolina. 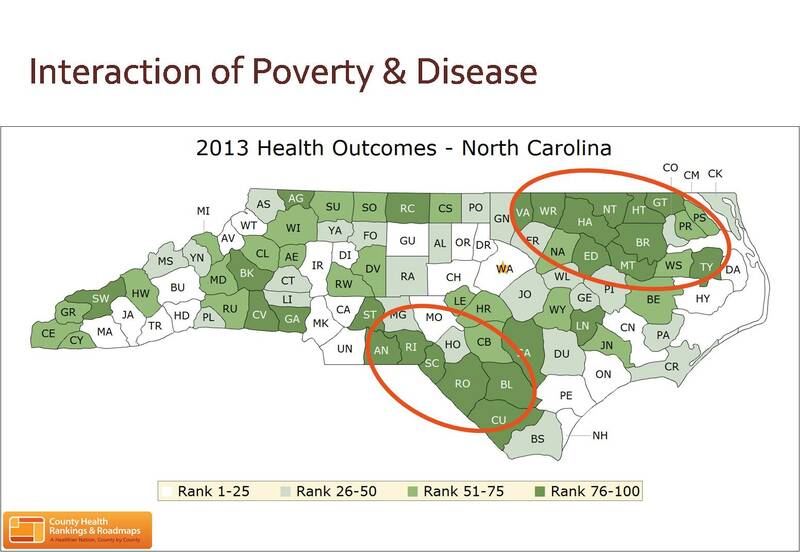 There are many examples of efforts in NC that are focused on food justice work. More projects will be shared on this page over time. One example is a Center for Environmental Farming Systems (CEFS)-supported initiative in Goldsboro NC called SWARM. SWARM is an acronym for Students working for an Agricultural Revolutionary Movement. SWARM’s approach is to develop young food justice leaders, particularly from communities of color, to build knowledge and skills around growing food, develop a historical context of civil and human rights struggles as well as a cultural context around food and food traditions in the region. Although SWARM is not exclusively for youth of color, it is intentional about involving predominantly youth of color because, according to research, youth from these communities are often among the most directly affected by health and food systems disparities. Youth who have direct experience growing up in these conditions have unique ideas and insight on how to transform them. Get informed! Educate yourself on food justice issues and root causes of why those inequities exist. • Bring #PassTheMicYouth to Your Classroom/Organization!